Facepalm: Many Android TV owners are reporting sponsored ads being shown on their home screens. Google says this is a "pilot" to "engage the user community." Most of the users just want it off their expensive TVs. Owners of certain Android TV devices including Sony smart TVs, Nvidia Shield, and Xiaomi Mi Box 3 have noticed ads appearing on the home screen according to XDA Developers. The ads seemed to have appeared following an Android TV update. The Android TV update started displaying ads under the "Promotional Channels" title in the launcher. Not only were users not notified of this change, there wasn't a way to disable the ads until Reddit user Felisens figured out how to do it. It basically involves uninstalling the updates for the "Android TV Core Services" app. This allows you to either delete the ads from the homescreen or disable them from the channel settings page. Unfortunately, the ads return after the TV is restarted. "Android TV is committed to optimizing and personalizing the entertainment experience at home. 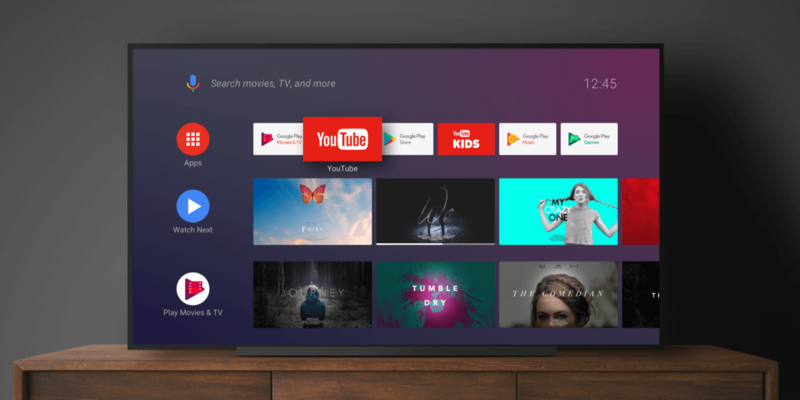 As we explore new opportunities to engage the user community, we’re running a pilot program to surface sponsored content on the Android TV home screen." Sony's support page says that the purpose is "to help you discover new apps and contents for your TV." It also suggests creating a Restricted Profile with the apps you want to use in order to keep the ads from appearing in the home menu. While it is understandable because Google's core business is selling advertisements, it's a bit disconcerting that this would randomly show up in Android TV without first alerting users and without a clear way of disabling the ads. One of the TVs with this update is the Sony 900F, a $1,000 television receiving ads as if it subsidizes the cost of the TV. Astute TechSpot readers will remember that Samsung did something similar back in 2015 when they also inserted unwanted ads on their smart TVs. Vizio had to pay $2.2 million last year for surreptitiously tracking viewers' habits and selling it to advertisers. Vizio is still doing that today, it just has to let you know now.